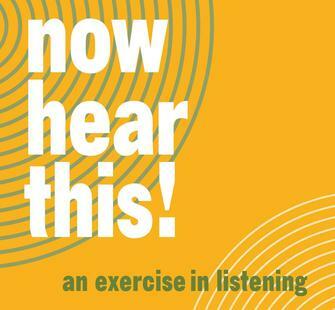 Friday, July 21, 2017, 6 p.m. - 10 p.m.
Join us for the opening celebration of Now Hear This! An Exercise in Listening -- an outdoor exhibition featuring immersive site-specific soundscapes, sonic experiences and workshops, sound sculptures, and a new digital curatorial platform, Soundings. The opening celebrations will include various sonic performances and opportunities for interactive engagement by visitors. It will also feature a tribute to the work and life of Pauline Oliveros, a central figure in the development of experimental and post-war electronic art music, and her commitment to cultivating radically receptive listening. Organized by composer, conductor and performance artist Luciano Chessa, Deep Listening with Pauline celebrates the spirit and legacy of Pauline Oliveros -- a central figure in the development of experimental and post-war electronic music, and originator of the praxis of Deep Listening. Various sonic performances and opportunities for interactive engagement by visitors will explore Pauline’s creative legacy and commitment to cultivating radically receptive listening. Participating artists includeAshley Bellouin, Stuart Dempster, Elana Mann, Ramón Sender Barayón, and Fernando Vigueras. Examining listening from an alternative cultural perspective, audiovisual and performance artist, film maker, and DJ Arshia Haq and her collaborator Amy Alexander will create an audiovisual tapestry weaving together sounds and images sourced from the Middle East, North Africa and South Asia. Haq will use vinyl records, archival sounds, and digital field recordings to evoke an aural portrait of devotional and popular soundscapes within the context of current political leitmotifs in the Middle East, North Africa, and South Asia (MENASA) region. Alexander's visuals are generated using her PIGS (Percussive Image Gestural System) system, a custom software/hardware instrument that uses silent percussion to improvise liquid visuals. The visual content will be comprised of YouTube videos by people from MENASA. The videos are selected by Amy Alexander and Arshia Haq to complement the Discostan set. Guitarist/multi-instrumentalist and Lucas Artist Composer Fellow Mike Gamble will perform an evening set on the front Veranda of Montalvo's historic Villa with his collaborator, film-maker/visual artist Devin Febbroriello. Lucas Artist Fellow Fernando Vigueras and collaborator Daniel Godinez Nivon will host a conversation about sound and dreams, create scores using found objects, and hold improvised performances. Artist Taro Hattori’s traveling community conversation project Rolling Counterpoint will be on site for visitors to engage with. Grab a glass of beer or wine at one of our bars, and enjoy food from 3 Brothers Kitchen, The Waffle Roost, Oaxacan Kitchen Mobile, Curveball Food Truck, and Twisted Chill. Now Hear This! 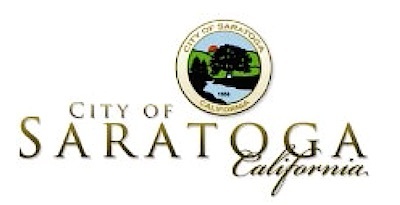 is presented as part of the Lucas Artists Program’s Art on the Grounds initiative at Montalvo Arts Center. Art on the Grounds is a commissioning and exhibition program providing artists with opportunities to develop and present works of art in the context of a 175-acre public park.